Its been so hectic lately. I attended a lot of Events and did some serious shopping as i haven't shopped since last October. Here i am back again with another Innisfree Product Review. But i feel that Korean products are the only ones that actually do what they claim- esp skin care. 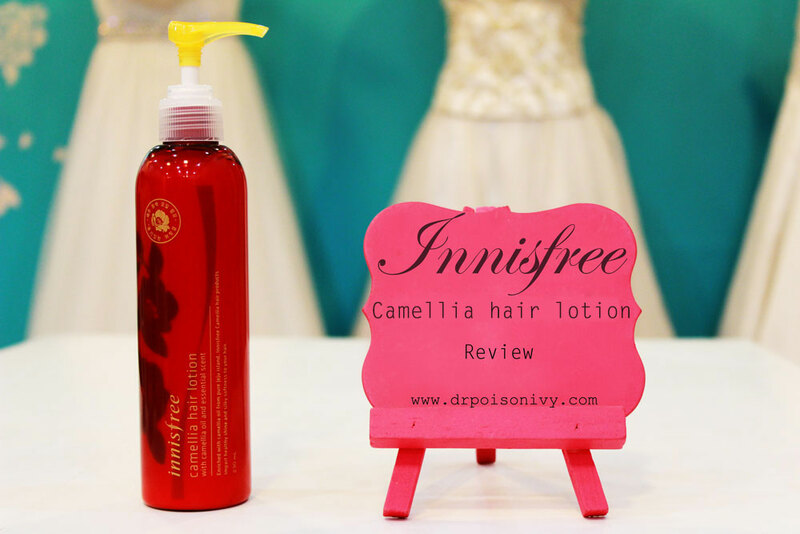 I will be reviewing "Innisfree Camellia Hair Lotion". 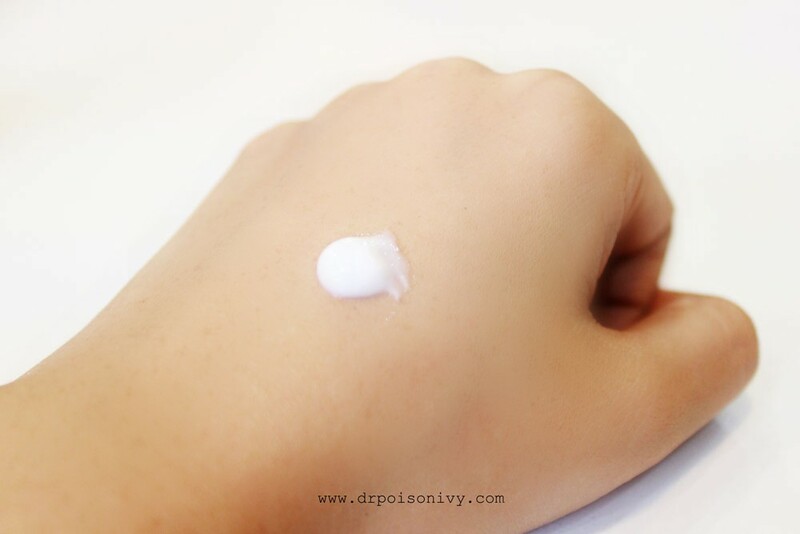 Since i have dry scalp i have always wanted to try hair lotion as it can be applied even at the roots. I wash my hair every alternate day. If i wash it daily it gets too dull and dry. It comes in a travel friendly pump. The color of the bottle looks tempting as well. It is translucent so you can actually see how much product is left. The texture is like a normal lotion texture. Not runny nor too thick. Does not cause any greasy or oily sensation. It has an appreciable floral smell. Hint of citrus and Eucalyptus. The smell doesn't linger for long. But it makes one feel really fresh. 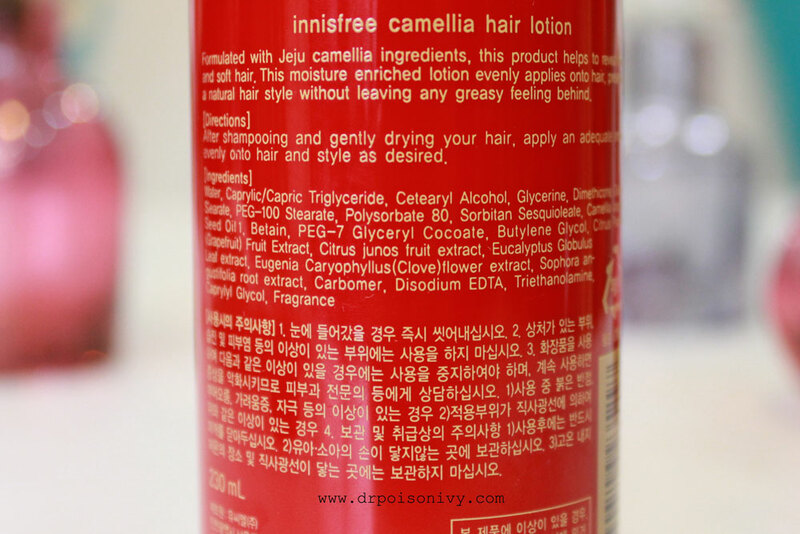 The Innisfree Camellia Range starts right from Shampoo to Oil Balm. 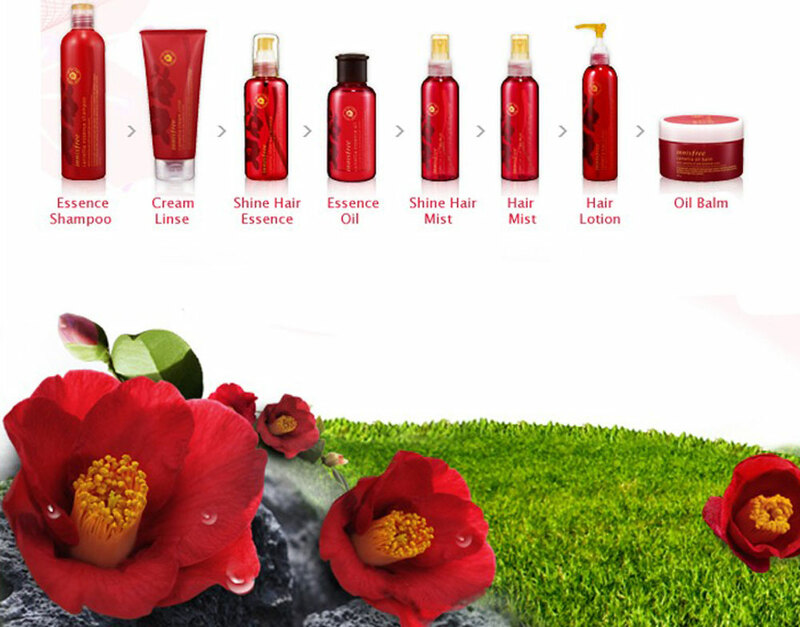 Formulated with Jeju camellia ingredients, this product helps to reveal shiny and soft hair. This moisture enriched lotion evenly applies onto hair presenting a natural hair style without leaving any greasy feeling behind. The hair lotion does all that it claims. In the picture below i have applied it to towel dried hair before combing. 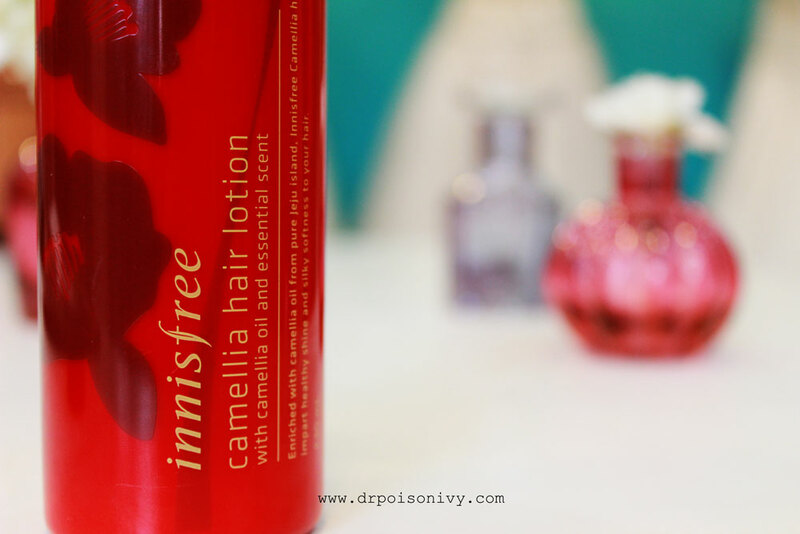 I take one generous pump of the Innisfree Camelia hair lotion and rub it onto my hair gently between the palms. Starting from the scalp till the tip. Does not give AHHHMAZZING shine but yes the improvement is visible after each use. Makes the hair really soft to touch. Tames the frizz to some extent. And soothes my dry scalp. I am in Love with it (and i'm sure you are fed up of me saying that about Innisfree *wink wink*). If you have dry scalp like me , you should definitely try it out. The quantity is a lot too 230 ml. 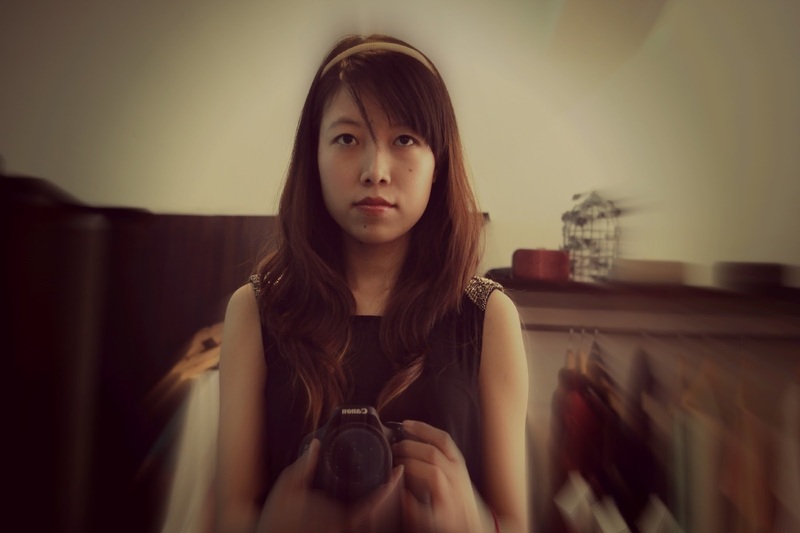 I recently got a new hair cut from Alaya Spa. Got so fed up of long straight hair so to add some extra volume,got lots of layers. My hair stylist's name is Tashi and he is so inspiring. He is deaf and dumb. All i had to do was show him a picture of the hair cut i want and swiss-swoss ,he did it in the exact style. This is how it looks like from front. 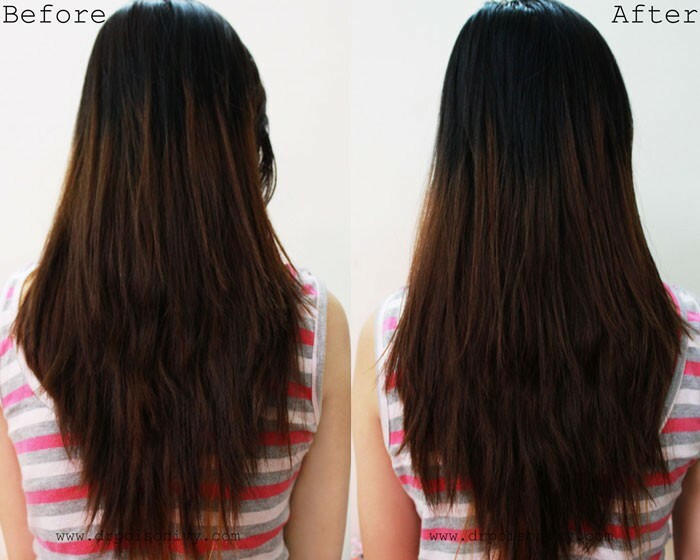 Innisfree review blog haha :P your new hair cut is so cute and the difference this product makes is so visible. I will surely get it on my next visit to Innisfree, btw your pics are really amazing, do you click them artificial or natural lighting? i click them in natural lighting. Woaahh! This makes quite some difference to your hair, and I really like the red packaging. BTW pretty pictures, nice background. Improvement is visible and seems an amazing product! 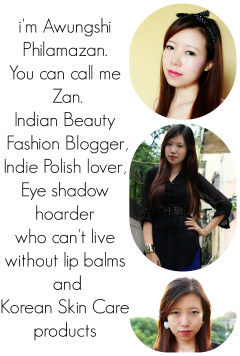 Looking great..
u look great :* this looks like a great product, i have very dry scalp!!! This seems like a great product. I'm also intrigued by the Essence Oil and Oil Balm in this range. their hair range looks interesting...sadly they re not available online! 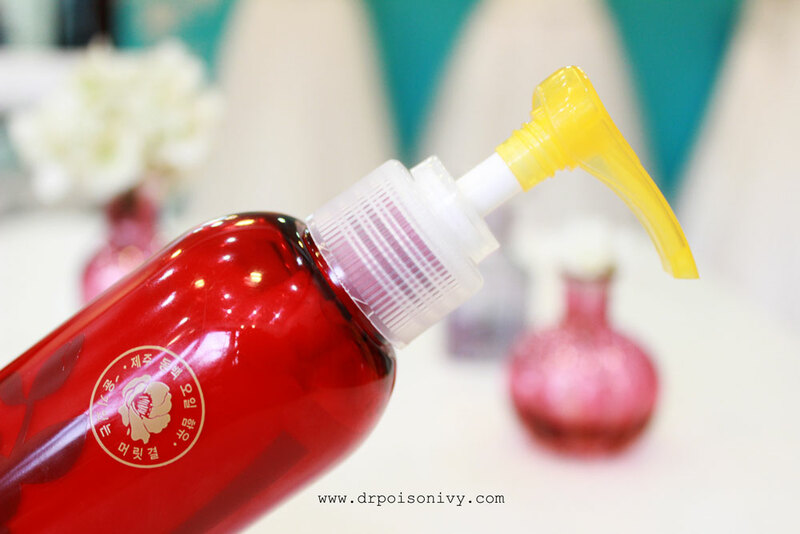 Seems like a nice product..but sigh..i got an oily scalp :(( anyhow...the new haircut looks great on you!! wow loved ur hairstyle! Hats off to ur hair-stylist!